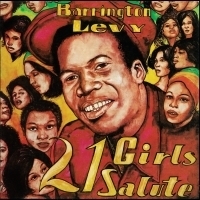 Barrington Levy's 3rd LP for Jah Life, another killer selection from the fruitful works of the Wright/Lawes/Levy axis. From the golden era of the Radics at Channel 1, mixed by Scientist at Tubby's, 10 tracks available again, this was only repressed once before in the late 1990's, other than its original release in the early '80s. First time reissue of Scion Succcess' debut Pressed in the UK on red vinyl. Ten song LP full of NYC dancehall classics like "Put It On" and "Pain-A-Back." Recorded at Phillip Smart's HC&F studios with the best NYC session players of the day, a criminally underrated LP. Check out "Juggling Spot".